Investors are revisiting asset diversification since the market drop of late 2018 and early 2019. Some may now be considering precious metals as an asset to buy and hold. History shows this as a safe bet, albeit one with mediocre returns. This Second Edition of Trade The Ratio presents a better option for those interested in silver and gold: a blueprint for investing in precious metals and earning a higher return on investment. Guest contributions on the topics of collecting and bargain-hunting from YouTube superstars LosingLouie and TheStackingNerd. Trade the Ratio offers a comprehensive look into an often-misunderstood investment strategy that combines precious metal ownership with an emphasis on higher returns. Published January 2019, 241 pages. "Go check it out. Give it a read. It is actually brilliant. He has created this tool to realize returns on your stack while we're waiting for the big run." "Stackers Must Read! This book gives some great and honest advice. I think it is a great, educational book. I think 95% of the stackers can really benefit on reading this, and probably reading it two or three times and letting it soak in." "This book teaches the reader about some of the most pressing monetary issues of our times. The biggest value is that it makes you think for yourself while giving real life information. Education about our monetary system, including Precious Metals, is a journey and one of the most valuable you can experience." "An Incredibly insightful read on how to actually invest in gold and silver without worrying what the price will be. The book is a comprehensive look at precious metals as both a hedge and an investment. 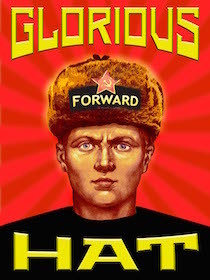 Ushanka provides a methodic low stress way to make money taking advantage of the gold to silver ratio. He also shows how politics and policy solidify the case for gold and silver. There's so much more. Every chapter brings knowledge and insight in a concise manner." 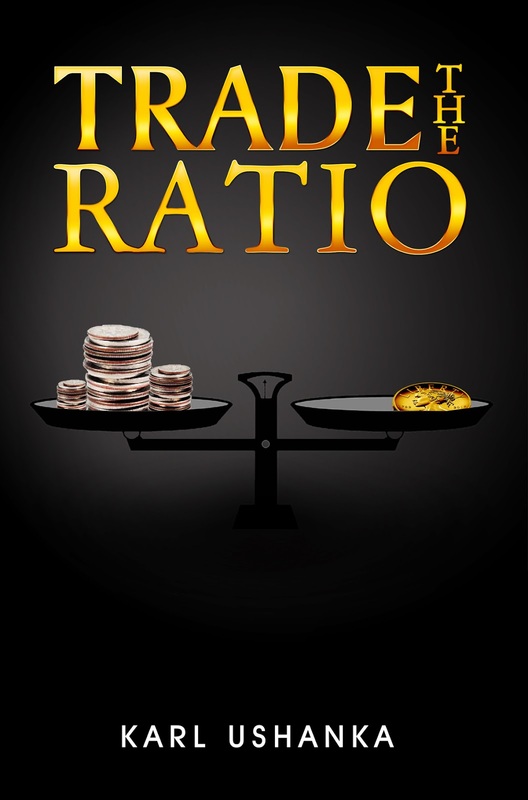 "Trade the Ratio is a great introductory book to trading and investing in precious metals for the beginner or novice. Replete with economic, political, and philosophical explanations as to the merits of precious metals, Karl Ushanka then creates and applies a simple, but clever trading strategy for those who wish to go beyond insurance and actually trade precious metals for profit." 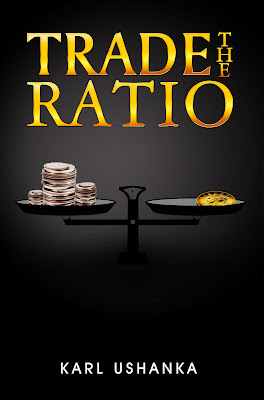 Giving me a copy of Trade The Ratio for perusal was like giving a trombone to a chimpanzee. I knew nothing about buying and selling precious metals. But in one sitting I have enough confidence to stick my toe in the water. What I loved about this book was that it wasn't simply a collection of opinions from a know-it-all. This was a blueprint, with very reasoned, factual and calculated methodologies that can guide a newby, like myself, into turning a profit. Return on investment is what it's all about, and an investment in this guide is a no-brainer. 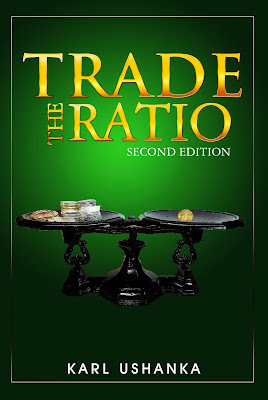 "Trade the Ratio isn't simply a dry book about precious metals trading: it explains the political in-and-outs of the business with verve and style. Unlike most analysts, Karl knows politics, so he has a perfect understanding of how to trade without losing your shirt." "I was astonished by the amount of time and thought put into this book - this is no small feat. The author clearly put considerable amount of effort into compiling an easily digested collection of knowledge that is much needed in the community. It is due to a lack of education in the community that makes this such a great read, it fills the gaps that often go overlooked by your average precious metal investor. This book could very well be a go-to tool for someone looking to get into precious metal investing. The author is sure to share the most critical factors that influence the market - and more importantly, setting a reasonable time scale as to not include points in time that are viewed as anomalies due to geopolitical events and price fixing during times of the Gold Standard." "I have never dabbled in investing beyond trying to figure out how to roll my whatever-you-call-it account over when I switch jobs. After reading this book, I actually feel like I could invest in precious metals. It's clearly and yet thoroughly explained for the novice, with a nice touch of a unique, dry humor that gets you through what would otherwise be the boring parts." "If the West's next generations are to have a chance, they must know how to earn money on their savings. This book teaches novices how to break away from ZIRP returns and make real gains, while mitigating risk. You and your kids need this book!"